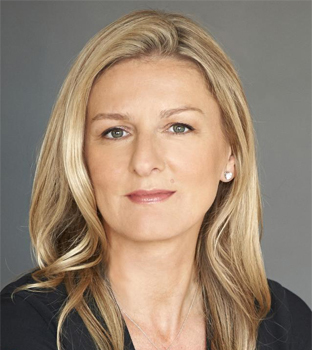 In 2018, Guardian News & Media (GNM) appointed Evelyn Webster as chief executive officer (CEO) of Guardian US & Australia. In this role Evelyn is responsible for leading the commercial and operations teams, working closely with US Editor John Mulholland, as Guardian US continues to focus on rebalancing its core business model to ensure it is able to serve its loyal and growing readership. She has most recently spent over five years as Executive Vice President of Time Inc, one of the largest media companies in the world, where she oversaw the business operations and strategy for 26 award-winning brands that reached more than 100 million consumers. Prior to joining Time Inc in 2011, Evelyn spent 18 years at IPC Media, joining as a graduate trainee in 1992 and working her way up to the role of Chief Executive Officer. Webster graduated with a B.A. in business with marketing honors from the University of Greenwich, U.K. In her spare time, she runs, practices yoga, and volunteers.